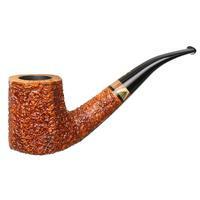 The Hawkbill shape originated in the Castello workshop during Luigi Radice's tenure, and it's said that Luigi himself was the carver responsible. 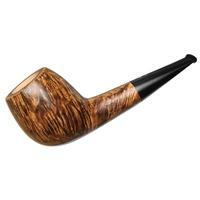 Here we have a particularly handsome take on the shape dressed in a dark iteration of the Rind rustication and paired with a small slip of sand-toned vulcanite. 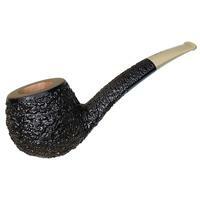 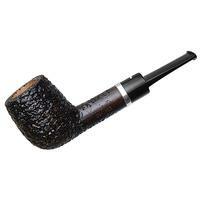 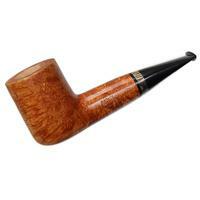 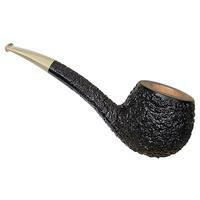 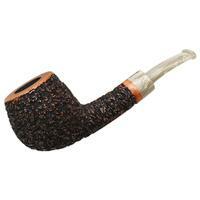 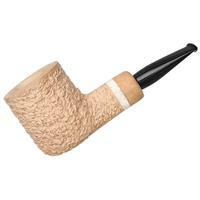 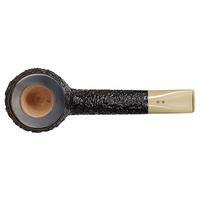 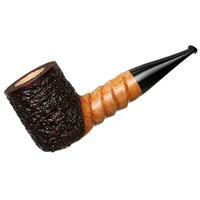 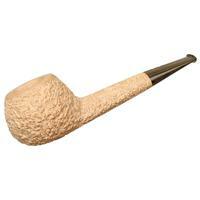 Although this example is quite compact, the Radice crew has chosen to even further exaggerate the plump bowl, lending quite a bit of visual weight to the front of the pipe, while keeping the arching shank quite trim. 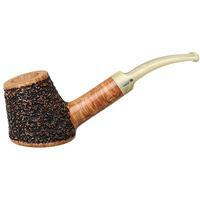 The result is a neat and, dare I say, cuddly briar.